As part of WoWFest19 we are delighted to welcome Kerry Hudson to our store. Kerry grew up in all-encompassing, grinding poverty. Always on the move with her single mother, Kerry attended 9 primary schools and 5 secondary schools, living in B&Bs and council flats. Whilst many people would like to think that Kerry was an exception – that she was unlucky, or a one-in-a-million case. Sadly, this just isn’t true. All of the people Kerry grew up with were experiencing exactly the same as she was. Some a little less, and some far worse. 20 years later, Kerry is a prizewinning novelist who has travelled the world. She has a secure home, a loving partner and access to art, music, film and books. But she often finds herself caught between two worlds. 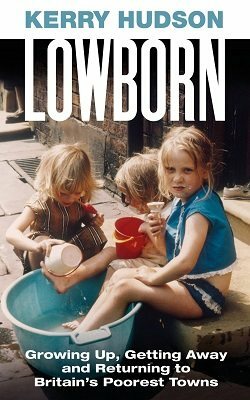 LOWBORN is Kerry’s exploration of revisiting the towns she grew up in to discover what being poor really means in Britain today and whether anything has changed. LOWBORN is a powerful, personal, agenda-changing work of non-fiction on poverty in Britain – a book like nothing that’s been written before, and a book that we all need to pay attention to. Kerry’s first novel, Tony Hogan Bought Me an Ice-cream Float Before He Stole My Ma, won the Scottish Mortgage Investment Trust First Book Award and was shortlisted for the Guardian First Book Award and the Sky Arts Awards. Thirst, her second novel, won the prestigious Prix Femina Etranger. You can also purchase an additional GIFTED TICKET for this event. This ticket will be donated to someone who is unable to purchase a ticket for themselves. All you have to do is pay for the Gifted Ticket and we will take care of finding a good home for your generous donation.